Windproof and always the right temperature – that’s what we all want when buying a new jacket. But vehicle manufacturers also put a high value on good aerodynamics and an efficient thermal management system, as this reduces fuel consumption and emissions. Röchling Automotive offers its customers four systems that can make a significant contribution towards achieving just that. One of the systems, the active grille shutter or air flap system, regulates the air flow through the engine compartment and thereby the engine compartment’s temperature. Soft components insulate the transitions from the bumper and the cooling unit. The positioning of the active grille shutter within the vehicle is carried out according to customer wishes. Whether it is integrated as a moveable front grille, used as a structurally integrated component or installed directly in front of the cooling unit, one thing is certain: A full-body air flap system that is placed as far forward as possible has great potential for reducing air drag. Röchling Automotive recommends to integrate the system into their car’s characteristic profile. “Function in design” is a trend some car manufacturers are already very interested in. One clear reason for this is the benefit it provides to one’s own brand – design-air flaps with consumption-reducing properties. If one requires even more insulation and heat, the ideal sealing concept is found in combination with an engine encapsulation. The engine is covered with a material that has very low heat conductivity, thus delaying the cool down of the engine. Furthermore, an injection-molded underbody with integrated tank lining allows for a low turbulence air flow. Finally, active speedlips also contribute to a reduction of drag. Already in use as a passive component for the past few years, wheel dams contribute to improved aerodynamics. Now, Röchling Automotive considers the speedlips a component of a holistic aerodynamic concept, particularly in high-performance vehicles and SUVs. As a system supplier for underbodies, Röchling sees opportunities for moveable, active speedlips with specially developed actuators. “In contrary to static wheel dams, they are customizable, larger, and retractable. This allows them to reduce drag even more,” explains Andreas Schmitt, Head of the Advanced Development Aerodynamics team. To ensure that no damage is caused by obstacles, the active speedlips only extend at speeds above approximately 70 kilometers per hour. “Normally, there aren’t any road curbs in the way at those speeds,” jokes Schmitt. 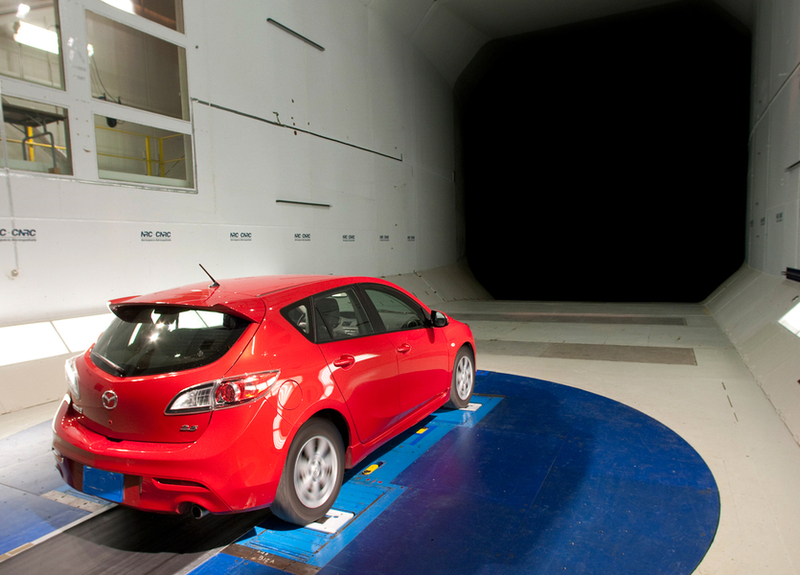 The vehicles equipped with systems from Röchling Automotive perform exceptionally well in the wind tunnel.